My goals for the week: Work on the trailer, cleaning the living room and keeping the learning going on. Hubby spent about half the week sick.. fighting off some bug that I think ran through my system REALLY fast on Monday. Son is fine just acting tired-ish. I should have known something was up when I could eat on Sunday but liquids had a problem staying in my belly. 🙂 Otherwise I felt well and was fairly productive. Monday: Off to London, we did stuff but my gut was not happy so … we headed home a bit earlier as hubby had a meeting to attend, and I just wanted to be home. 🙂 Gave my head a really solid bonk today which left me with a lingering headache. 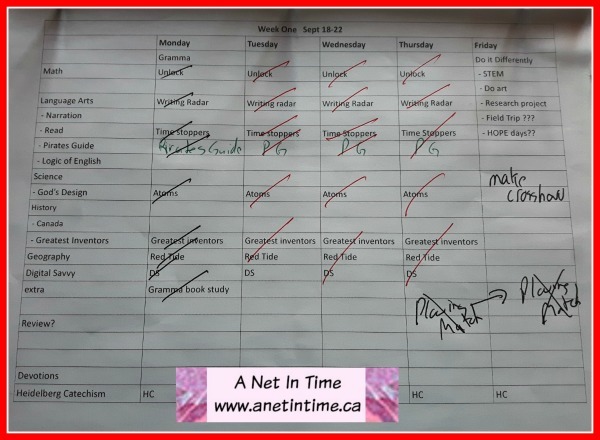 Tuesday: Good day.. worked around the house cleaning and organizing, the lad worked hard on his schooling and got done fast. Did some grading. I listened to a book on the “Five kingdoms” while I worked. Kept me quiet while hubby rested… it was a grey day as well so it was good to keep busy. Headache persisted but wasn’t debilitating. Wednesday: Foodbank in the morning, the lad again worked hard and had everything done except his on-line stuff by the time we got home. The foodbank was really slow which allowed him to focus on his schooling. In the afternoon I went to the library and managed to pull nine reviews together. WOOT WOOT!!!! In the evening I took him to karate since Dad was out of commission. Worked on rabbitry website rather later than I had planned. I think I’m falling in love with a cutey from Bonnet. Such a happy friendly kiddo…even at two weeks. My luck though, it’ll be a buck and I need another buck like I need a hole in my head. Bonnet is the best doe though…..
Thursday: We had planned to go to the plowing match but dad was not well so we stayed home and did other stuff. School and work and what not. Did some grading of papers and made some biscuits I think (were very salty). Friday: the lad has a research project due and I’m still hoping he’ll get her done today. Dad is still feeling stiff and achy so the plowing match was a not a good fit today either. I cut the reflectix sheets to cover the windows in the trailer. I hoped to get the trailer done today but it’s rather hot out and I’m easily tired out today for some reason. 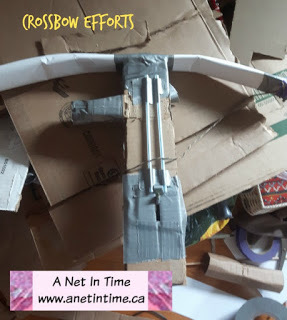 The lad did his schooling differently today than planned, Fridays are our “do it differently day” so the lad decided his STEM project would be working on his crossbow (good project) and he did his research project later in the day). He was busy learning all day so we called it good. Saturday…well who knows??? 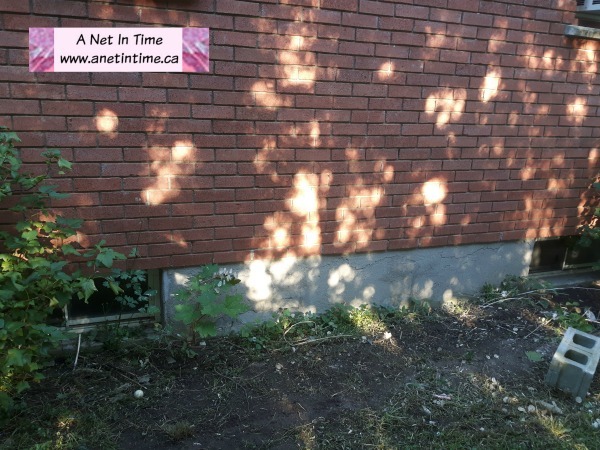 🙂 Well, hubby was still feeling off so tramping about the Plowing Match again wasn’t on, so the lad and I worked on organizing the “bug tent”. This is a small shed I built for all his bug stuff so it wasn’t cluttering up the house. It holds more than his bug stuff now, but it still works really well for him, though at times I think about moving his shelves to the tool shed and moving the tools into the bug shed. 🙂 Took us about an 1.5 hours. 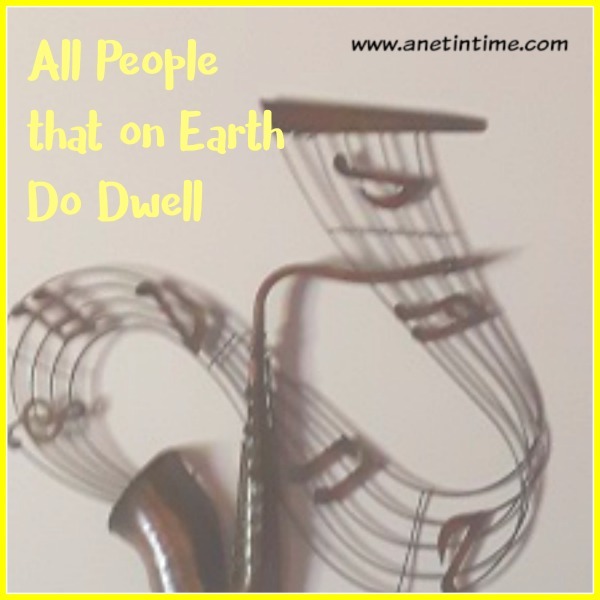 All people that on earth do dwell.. hymn study. 40 Ways to Present research. Romans 12:3-8. Gifts Differ by Grace Given. Raincoast books Giveaway. Open to Canadian. #PlayTestShare. Hey Freddy, It’s Canada’s Birthday. – a book about Canada. Romans 12:9-21. God’s Got it in Hand. It’s Great to Create. A lovely art book for budding artists. Romans 13:1-7. God Gave the Authority. A Spiritual Mindset. The next chapter in “A pearl seeker” book. Because I’m Reminded, I Accept. A fmf word prompt post. Hershey Chocolate World. Field trip in Pennsylvania. How to Farm Crickets. The lad’s research project. Marine Science for kids. Review of a really neat science book. Friday funnies, flops and fails. 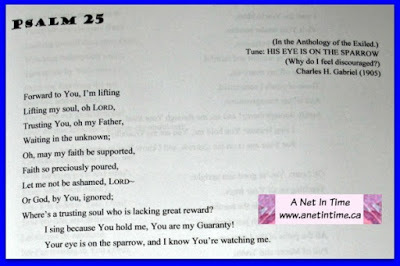 This hymn was sung at the coronation of Queen Elizabeth II in Westminster Abbey, London, June 2, 1953. William Kethe is said to be the author of it. Isn’t it a great song? Speaking to who God is and why we should praise him. Just love it! William Kethe was a Scots man and according to this source was most likely martyred or exiled by Mary of Tudor. Other sources speak to him being exiled to Frankfurt. This hymn was written as a psalm, and is based on Psalm 100. It is one of the oldest hymns known today. 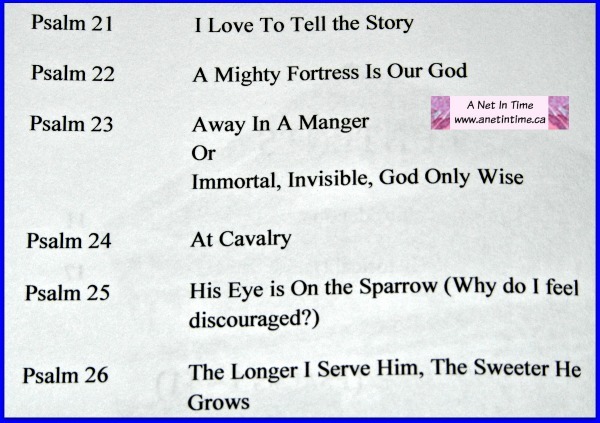 I like how they sang this hymn although they changed some of the words. This was a good week that turned out a tad different than planned. Though not written on the calendar, our Friday happened on Thursday, and our Friday was very scattered in our approach. Book Study didn’t happen with gramma due to my not having the book to hand. For geography the lad is doing a study on Red Tides. And for science he started a study on Atoms and Molecules. Our typical go to London day. Sold a bunny. Did some shopping and puttering about. OH! We also went to the Mandarin to celebrate Gramma’s Birthday. It was a good day. Hubby has a interview this evening for a job! Yay that all the technical stuff worked the way it was supposed to!! Cleaned the living room area..moved the birds from one side to the other, tidied up “that corner” and found a bunch of stuff I don’t need! WOOT WOOT! The lad did his schooling and then cleaned his room “Mom, going to clean out my closet” which morphed into cleaning his entire room and saying “I’m not moving this” to a lot of items. Took him all day, he was bushed by the end of it, but not too bushed that he couldn’t make a new axe. 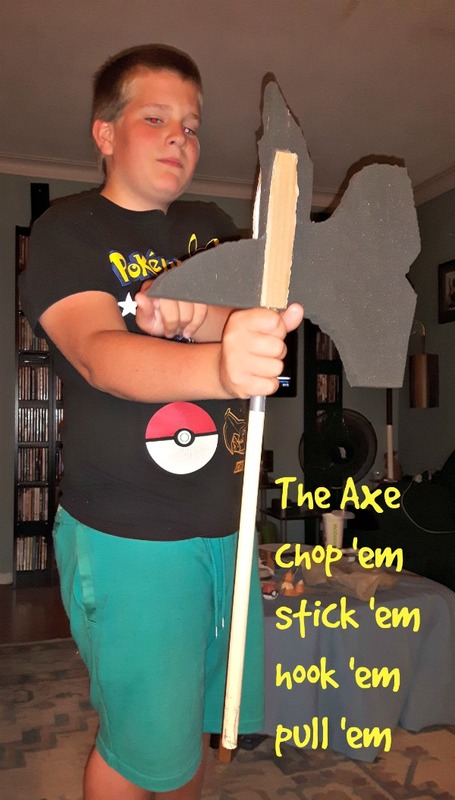 This one is called the “chop’em stick’em, hook’em and pull’em” after a weapon in the Brotherband series. Foodbank. The lad schooled, helped with the delivery, I organized shelves. Evening Karate starts up again. Out to the Western Fair after the lad finished most of his schooling quick quick in the morning. Admittedly he didn’t do math or Compuscholar. We headed up a bit earlier as the lad wanted to buy test tubes for his ants, and Hubby needed to pick something up at the “make your own beer” store. Anyways, once all the errands we run we hit the fair and had a good time. 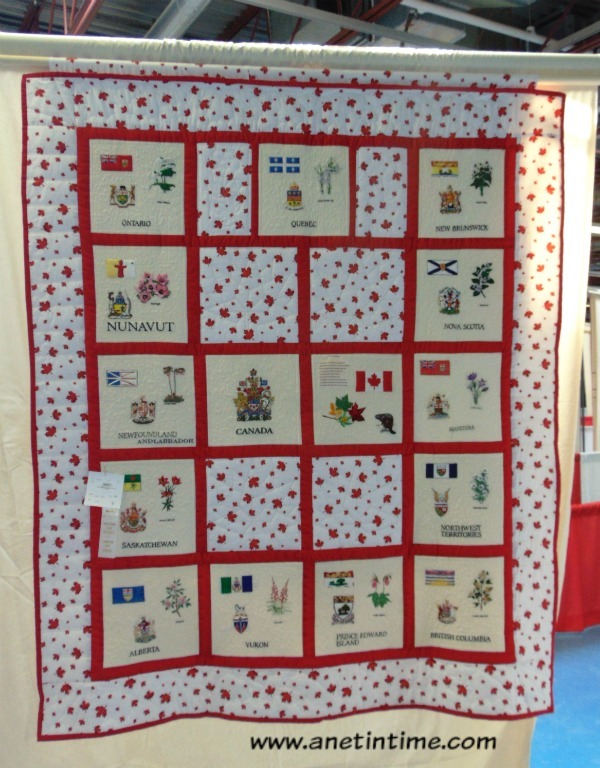 One of the quilts we saw. 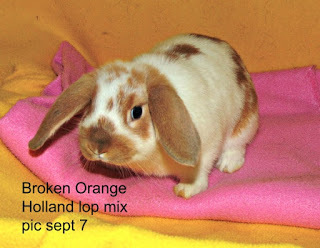 On the way home from the Western Fair we picked up the bunny that I had sold on Monday. 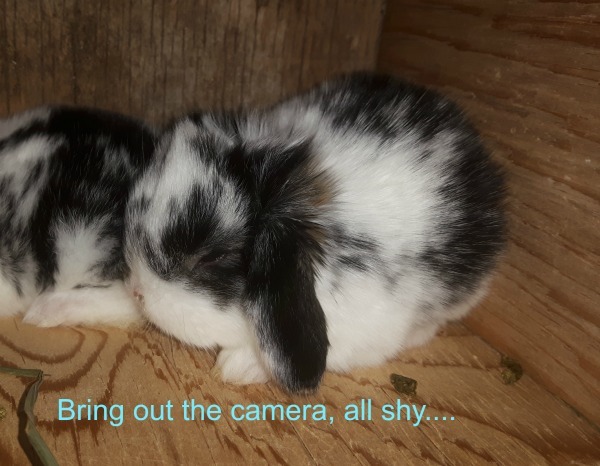 Turned out their other rabbit was a male instead of a female, they didn’t want babies and didn’t want to neuter their buck. So this girlie came home again. I had originally planned to go to a museum today with the lad but given that I didn’t get up and busy until about 1000 a.m…. and the lad was only up about 1/2 hour before I was and hubby wasn’t much brighter either… we decided a stay at home day suited us much better. The lad and I worked on a Star Wars review (two different ones actually) then we talked about his research project where we discovered that I had carefully delineated my expectations… so he’s got three projects in his head and I need to print off my expectations for him so he knows what to do. I said next week is fine. 🙂 And it is, gives us time to talk and learn and experiment and that’s a good thing eh? Then off to Camp Shalom for their fall fair. Bought food, did some visiting, found a corelle bowl in the rummage tent and the lad some foam for projects, it was a successful venture. Jim picked up some wine bottles from a friend. 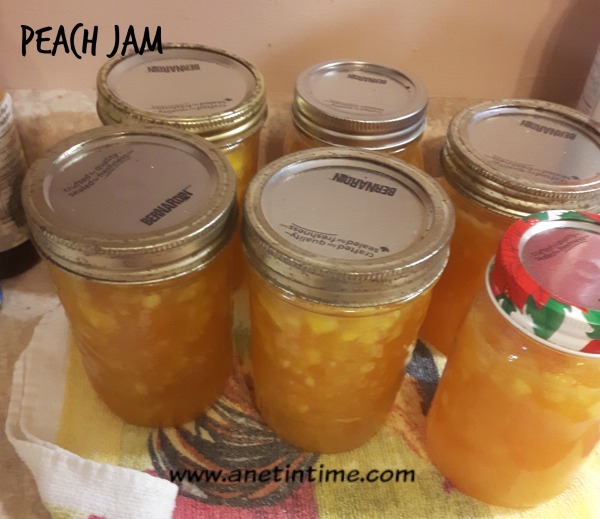 Off to the St. Jacobs Market to get some fruit to make jam… thought I’d try my hand at peach jam. How Reviewing Curriculum Works in Real Life. A round of up ideas for making reviews work. Devotional Romans 11:11-24. Stand Fast, not proud but fearing. 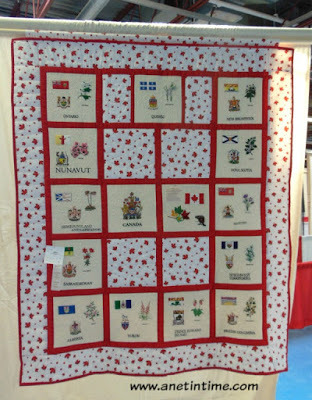 Canada Book: Crazy About Canada. Questions about Canada? Answers. Art Book: Making Amazing Art. Learn the seven elements of art. Devotional Romans 11:25-35: For who has known the mind of God. Pearl Seekers: The Good Part. Book study on pearl seekers. Devotional Romans 12:1-2. Our Bodies, Living Sacrifices. Support: A Five Minute Friday post, I have room for improvement! 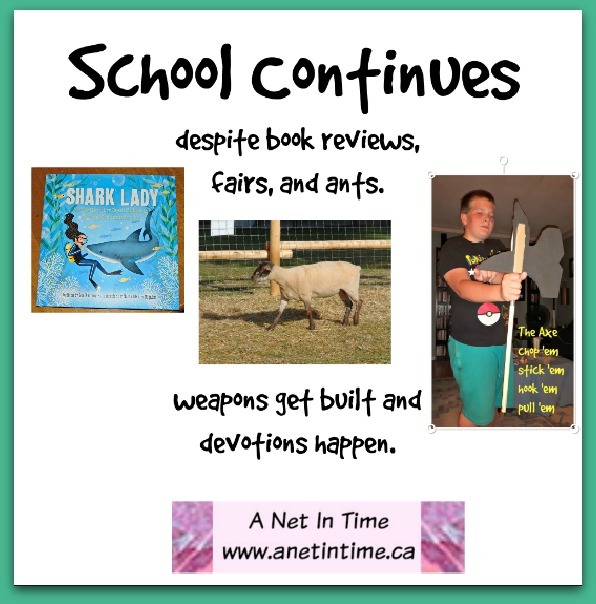 The Shark Lady: I thoroughly enjoyed this picture book. All about shark lady Eugenia Clark. Carole P. Roman book. Cultural history books using family life to draw you into the culture. That earth may hear the grateful song my voice unwearied raises. Let all who own His power proclaim aloud the wondrous story! Written by Johann J. Schutz and translated by Frances E. Cox. He was a lawyer and a man of piety. He’s known to have written at least four hymns. He started out as a Lutheran but over time became a separatist. Beyond that I haven’t learned a whole lot more about him. Our school year is kicking back into full time, but for this first week… not a heavy schedule. 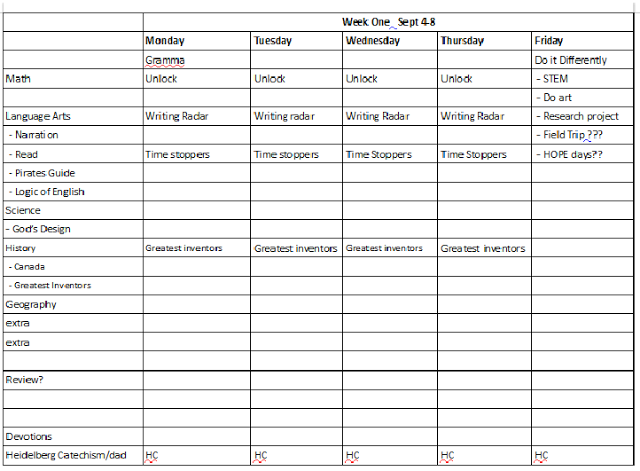 I changed up how I do the schedule this year.. putting in a column that covers everything I want to cover this year, then I can write on the individual days what needs doing. 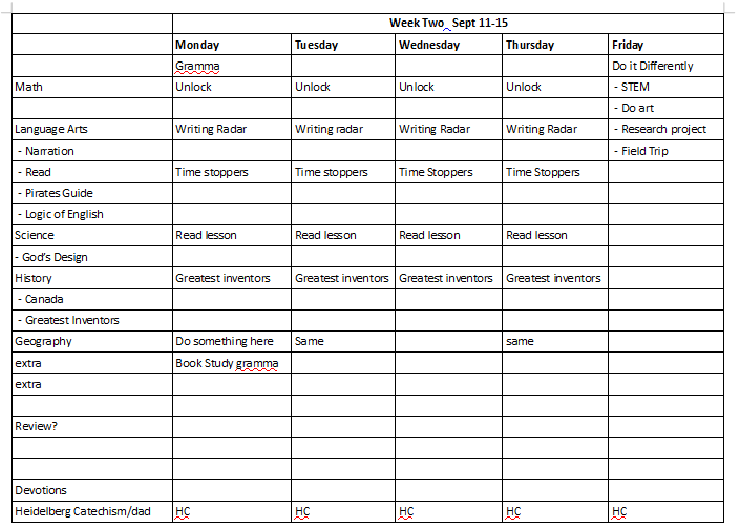 This first week though we have stuff I want to get done though, ergo needing the lad’s assistance, ergo a less heavy schedule. For instance, we cleaned the garage out so we had a whack of garbage to load into the van. I’m going to get rid of all the metal lying around the house and yard, and I want to get the trailer done and put away, so needing to cut new carpet and mold the reflectix panels around the windows, put in the clean dishes and just get it all organized again for traveling camping in the fall and next summer. The lad can help with this and still get his schooling done and research project for the week done. I made $25.60. Doesn’t seem like much until you think.. If I had to bring it to the dump… $60 OUT of my pocket to dump it. The Lad did some learning, and checked a few things off the schedule above. 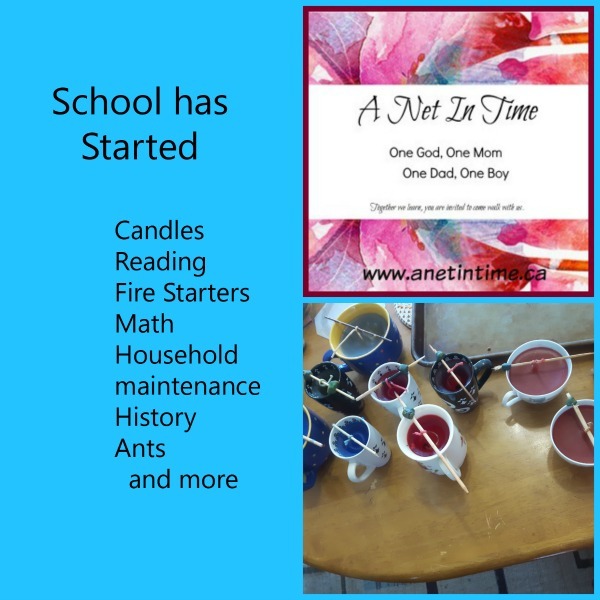 BUT he also kept himself busy with making fire starters, candles and ant farms. See that big bare patch of dirt? 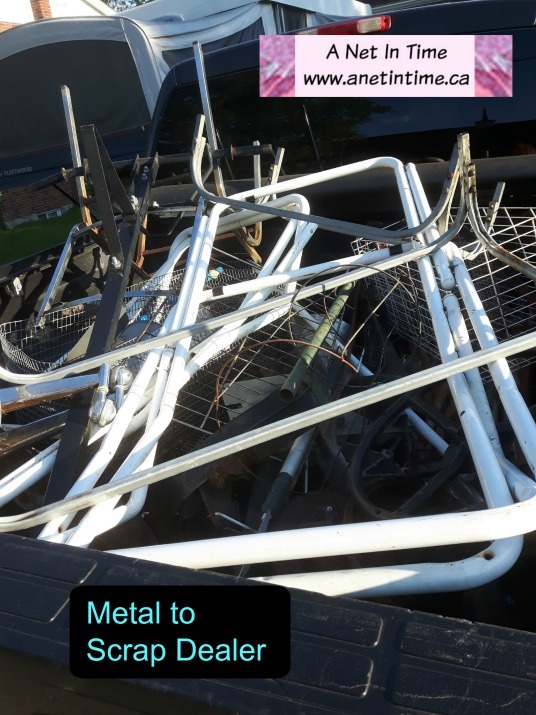 That used to be filled with steel, wood bits and other stuff that tends to accumulate around the yard of a house. WOOT WOOT! Got that cleaned up!!! In case you are wondering…the cinder block has since been moved as well. What else… Oh…. we got the garage most cleaned. I emptied a closet from the guest room, did the regular household stuff, did some blogging ahead and more stuff. rain that kept me from overtaxing myself! One of my joys this week was holding a newborn baby bunny. 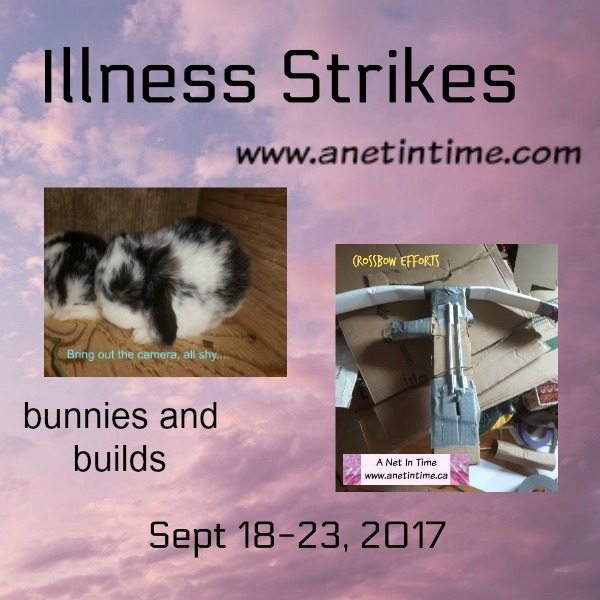 As you can tell we did a lot of physical work this week but I also found time to work on the blog. Field trip to Gettysburg national military park. from our time in Pennsylvania. Poetry of Work. five minute Friday post on word prompt work. Pearl seeker: I gotta be me. book study on Being a Pearl Seeker. Art book: 1, 2,3 I can Sculpt. Good book for younger children about learning to sculpt. Canada Book: Jasper explores the Pacific Coast. neat picture book about Canada. Devotional on Romans 9:30-10:4. Faith Matters. Keeping it all straight when doing Reviews. How I do homeschool review crew reviews. Hymn Study: Come to the Saviour. good invitational hymn. Is there anything better than candy? box tract. Last Sunday we sang this song at church. It’s been running through my head ALL WEEK LONG so I thought I should share that joy with you. (and yes, it actually HAS BEEN a joy). So today.. enjoy Come to the Saviour. “Suffer the children!” oh, hear His voice! Written by George F. Root, a American man with a love of music. By age 13 he could play several different instruments, he played organ as an adult, and taught in the New York Institute for the blind. He wrote both sacred and secular music, both tunes and words. By the time of his death he had published more than 500 pieces of music. He sometimes used the German name Wurzel (Also meaning root) in his music. in­duced to pro­fess Christ, and did not call them­selves Christ­ians. Do you love to sing scripture? Singing back to God the words he gave to his people? L.L. Larkin has come up with a book to do just that and I really really like it. It is called : Psalm Hymns, Books 1, 2, & 3: Dramatic, Contemplative, Singable, Recitable Psalms! No boring unsingable tunes. But simple easily recognized tunes with the words of the Psalms. I actually received two versions of this book, which appear to be identical within. The only different being the cover. You’ll see the one cover here, and the other cover pictured below. This book is FILLED with scripture written to the tune of familiar songs and hymns. Singing scripture to music is one of the best ways to learn scripture. I remember when I was in bible college needing to memorize a great deal of scripture, I’d say them in my head until I got a tune going. That’s the premise behind this book. Put scripture to music, particularly familiar music and watch people learn the word of God. This first book goes up to Psalm 89 and has us singing the Psalms to the tunes of Rock of Ages, Jesus Loves Me. Jesus keep me near the cross and At Calvary. 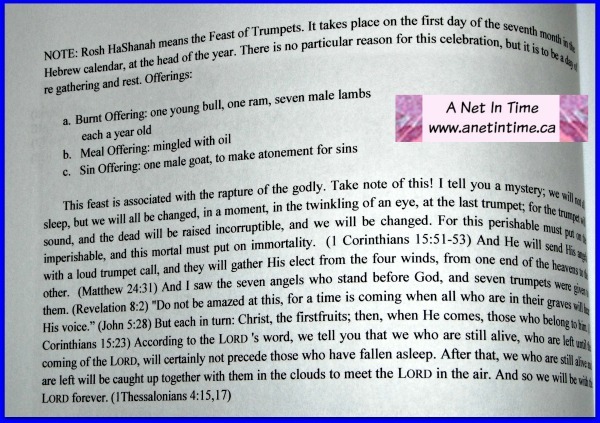 Various notes are found after some of the psalms. Some speak to how other musicians used the psalm in music, others to the message found in the passage. I have to admit, I had some mixed thoughts about these notes. 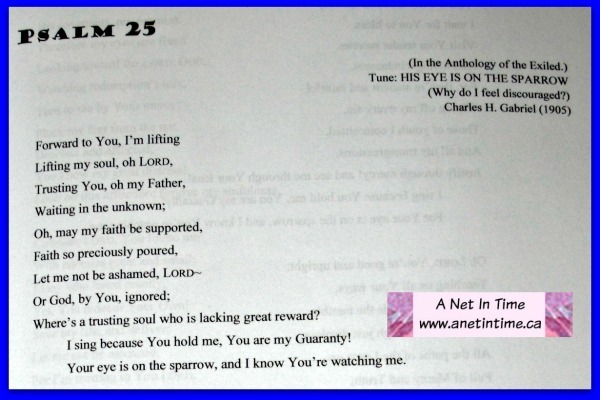 I loved knowing how other artists used that particular psalm, but wasn’t sure if it was really a part of a music book to also act a bit as a commentary. Pros and cons right? I liked what he had to say, but wondered if the book could be a bit shorter with less commentary. I found the words to the psalms followed the meaning of the Psalms quite nicely. This book will be going into our “keep it” pile for use later on learning some Psalms. IF you are music director in a church, or a sunday school leader or choir director you may find this book a boon to you as you strive to teach new music to your people. 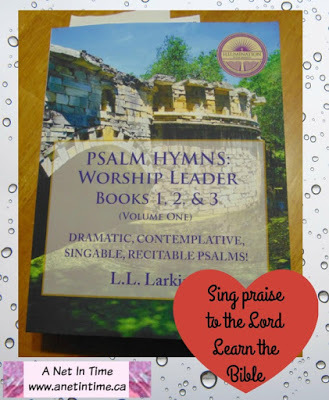 Homeschool families with an emphasis on memorizing scripture may also find this book an aid in helping your students appreciate the beauty and teaching found within the Psalms. Help them write God’s word upon their hearts! 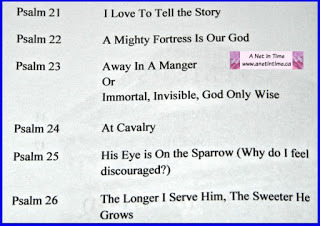 Title: Psalm Hymns, Books 1, 2, & 3: Dramatic, Contemplative, Singable, Recitable Psalms! 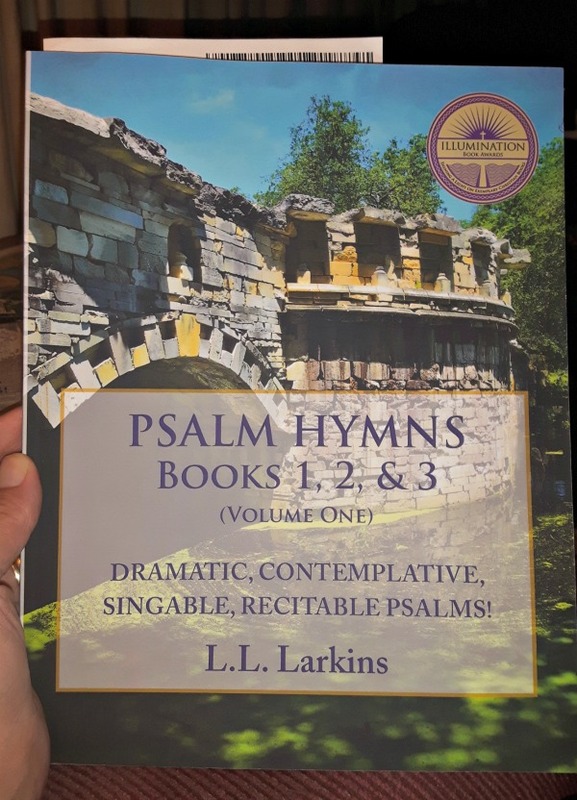 Amazon.com: Psalm Hymns, Books 1, 2, & 3: Dramatic, Contemplative, Singable, Recitable Psalms!